What happens when hide and seek turns into hide and DEEP? 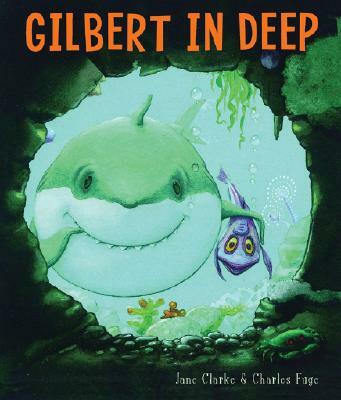 When Gilbert, everyone’s favorite loveable great white shark, and his fishy friend Rita the remora get bored with their usual game, they decide to go over the edge of the reef and into the deep where it’s dark and dangerous, and where Gilbert’s mother warned them never to venture. Since Gilbert claims to be fearless, he and Rita dare to explore the unknown depths of the sea. Charles Fuge’s beautiful, mysterious illustrations glow with a sea-dappled light. He and author Jane Clarke have created an action-packed tale that transports readers on an exotic adventure.